Most anyone involved in agriculture in Ohio has very likely heard about the concept of 4R management in agronomic crop production in order to preserve the soil and ensure water quality – using the ‘right’ fertilizer or pesticide product, putting it in the ‘right’ place, at the ‘right’ rate, at the ‘right’ time. The cattle producer who will be the most cost effective at getting his/her cows through the winter while maintaining proper body condition and herd health will likely be the one making the most money come weaning time on the next calf crop. That producer will be feeding the ‘right’ amount of the ‘right’ feedstuff to the ‘right’ contemporary group of cattle at the ‘right’ time of the year. Forage quality will decline between harvest and feeding. Depending on storage method, forage quality may need to be tested shortly before feeding. How does one know what those 4 “R’s” are for feeding the cowherd? Well, there are 4 main factors a producer needs to consider – the nutrient value of available feedstuffs, the cost of production or purchase price of those feedstuffs, the storage of those feedstuffs, and the nutrient needs of each age group of cattle. To simplify the rest of this discussion, we will focus on the one main feedstuff utilized to winter most beef cows in Ohio – hay. Nutrient content of feed – 2017 was a challenging year to make quality hay in Ohio. Yield was significant on most farms, and most producers consider a big crop to be a good crop. But is it? 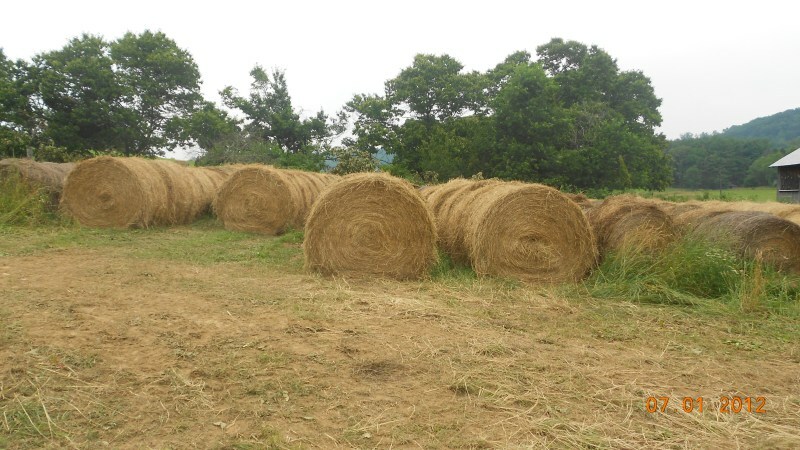 How do you know what the nutrient content of that hay is without a forage test? Was the hay made dry with no rain after being cut? 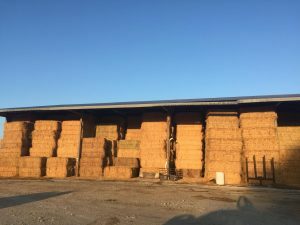 Is any bale of hay you can purchase for a reasonable price that looks or smells good going to have enough protein and energy to maintain your cows? A nutrient test on hay will cost anywhere from $20-50. So if you have 3 cuttings from the same field, $150 will tell you what is inside the bale. Compare that to the cost of one lost pregnancy, or one 2 year old that does not breed back. Cost of production – Many producers raise their own hay and therefore, have no real cost in it other than the fuel in the tractor and a little bit of fertilizer, right? What about opportunity cost of making that hay and using the ground for extended grazing or crops, then purchasing your hay? There is realistic market value for that hay which must be applied in order to accurately make best management decisions. 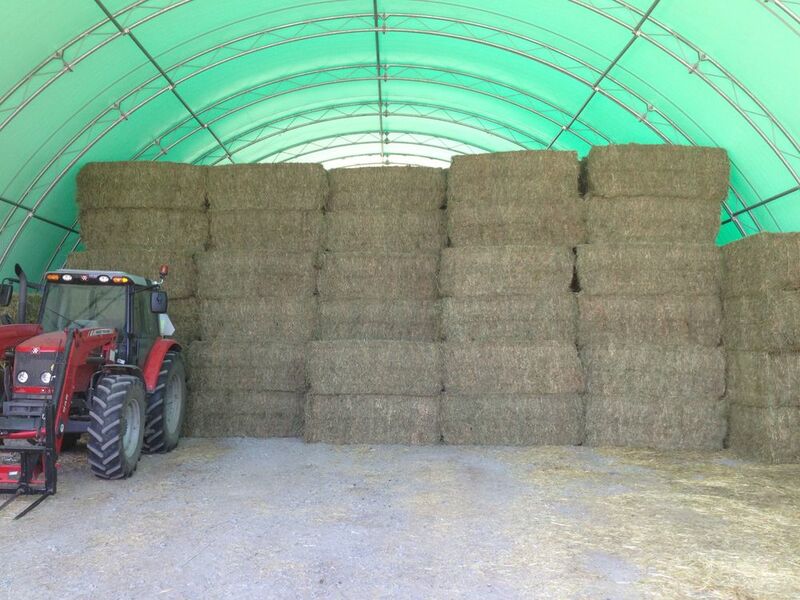 Bale placement during storage impacts forage quality at feeding time. 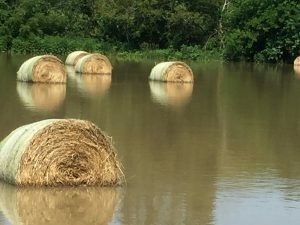 right after baling, or did it sit for 2 weeks and collect rain or flood water first? When you take that forage sample, do you sample it at the time of baling, or at the beginning of the feeding period so you can account for storage loss? Age groups – Do weaned heifer calves, bred heifers, coming 2 year olds, and mature cows all have the same nutrient requirements? What about fall calving – does that cow hitting peak lactation on November 1 have any different nutrient needs than a mid-gestation spring calver? Most producers know the answers to these questions on each of the 4 factors presented or know how to get the answers, and for those that do, their key to success is choosing to utilize that information. For those that do not know the answers, or how to find them, seek out advice from your County Extension Educator, nutritionist, feed salesman, veterinarian, or all of the above, and learn how to become a “4R” cow/calf producer. Your cows and your pocketbook will thank you. Which storage method is the “Right” one for your situation? For more information on forage testing, interpreting results, storage loss in hay, and formulating your feeding strategies, visit the Ohio State University Extension Beef Team’s Resource Library or contact your local OSU County Extension Educator. Also feel free to contact myself or any other beef team member directly, using the “Team Members” link above. Posted by Smith at 8:15am October 17, 2017 Posted in Forages, Management, Nutrition. Bookmark the permalink. ← Feed alternatives allowed by a corn, soybean & wheat rotation that includes cows!